Vendor Review – Sarah England Photography! It has been an amazing few weeks for me with Ainsley’s Affairs! Now that we are winding down to week number 2 with my new business name, I have been so wanting to get back in to blogging. Lately I have been blessed with many vendors helping me recreate my brand, and starting a fresh new world for me. There has been Madison Hope of Hope Studio Co., Mac & Erin of Hello Tomorrow Wedding Films, and many others. 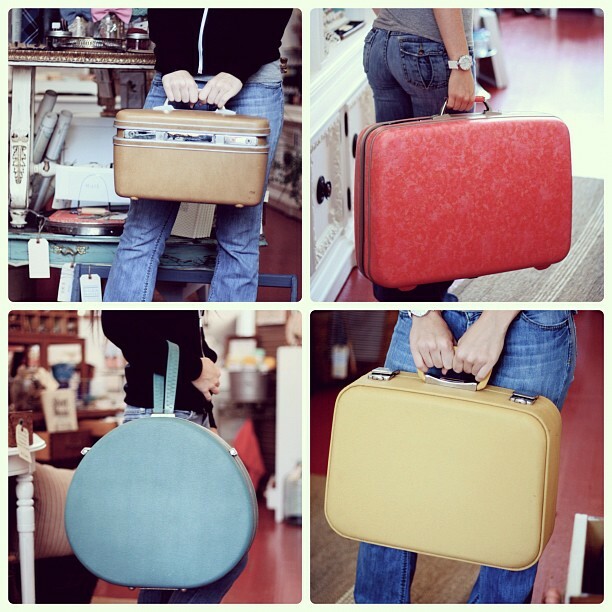 A significant vendor that has been around me lately has been Sarah England, of Sarah England Photography. Her amazing images have inspired both Madison and I to be more creative as a whole, and we have been so incredibly blessed to work with her this past week on two occasions. The first occasion was for an upcoming project that Madison and I will be revealing in February. It is going to be an AMAZING experience for you and us, and we are pumped to share it with you. Fingers crossed you will love it! The second occasion that I had the opportunity to work with Sarah was for some headshots, in partnership with another amazing vendor (soon to have her own vendor review!)! Sarah worked her magic on Madison & I at Film 2 Frame studios in New West’s Antique Alley. I have yet to see the results, but needless to say I am excited. I am super pleased to share with you some of her work. She is a travelling gypsy girl who seems to be here and there, and will be leaving for New Zealand for a year in February, so if you want to collaborate with her, do it now before she flies away! To review Sarah, seems ridiculous, because her work stands on its own as being mind blowingly creative. I cannot wait until I have another opportunity to work with this amazing girl! Vendor Review – Brick & Mortar Living – New Westminster, B.C. 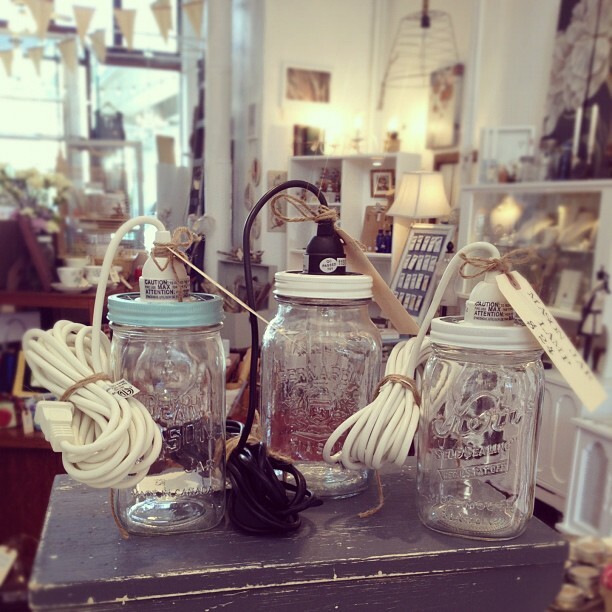 This week I decided to write a vendor review of a store that has quickly become a favourite for me in so so many ways. One thing that sets Brick & Mortar Living apart from so many other small gift stores is their knack and ease at attracting friends and neighbours from afar. I have been trolling around Facebook and seeing who has had a chance to drop by, just from my personal friends, and more than 25 have tickled their fancies within their white washed walls. Some even have travelled from as far away as White Rock and West Van. Clearly, these ladies know how to connect and use social media to their advantage. Not only that, they are the friendliest ladies I have ever had the opportunity to meet in a local store to date! Check out some of the photos that they have snapped from around the shop, and please visit their facebook page, if you haven’t already done so! I picked up one of these wonderful necklaces made out of old tea cup spoons! My grandmother has a million and one of these old spoons floating around the house so it always reminds me of her when I wear it! 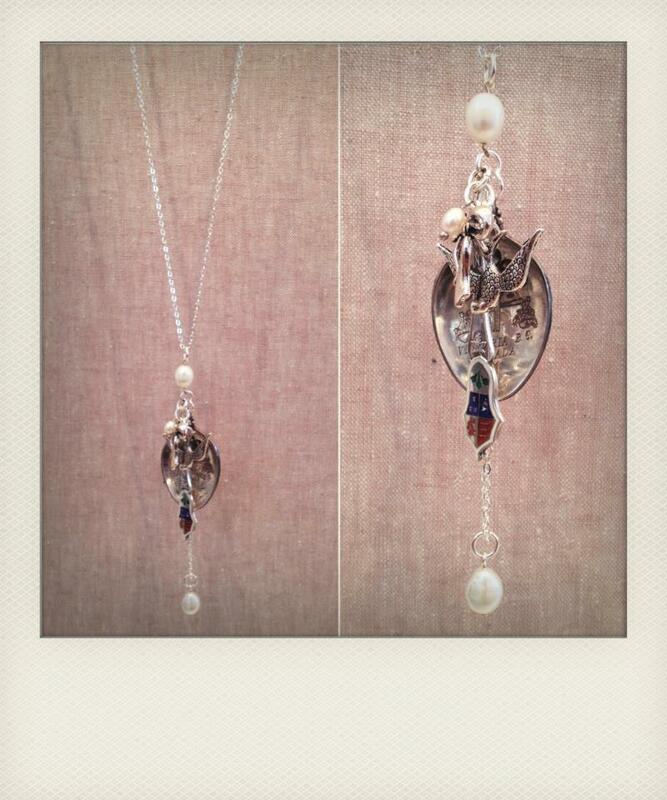 Check out Georgina Baker Jewellery! 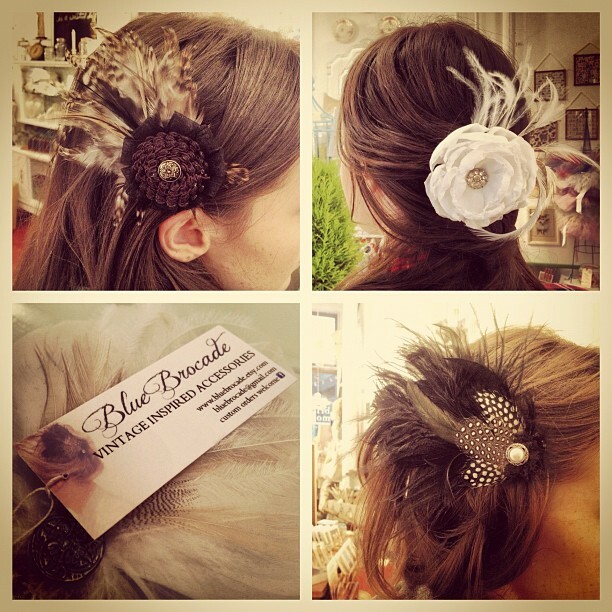 Absolutely LOVING these bridal headpieces which are a perfect accessory for the vintage savvy bride! Check out Blue Brocade! 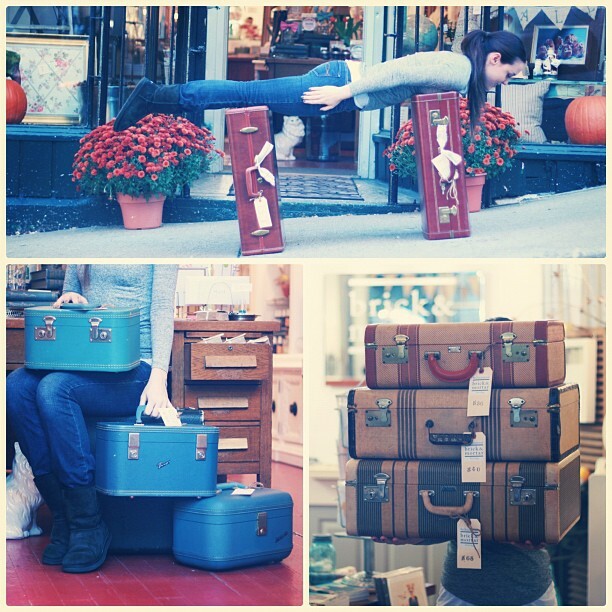 We picked up one of their old world suitcases to be used as a card box at our thanksgiving rustic/vintage wedding. It was a perfect fit! 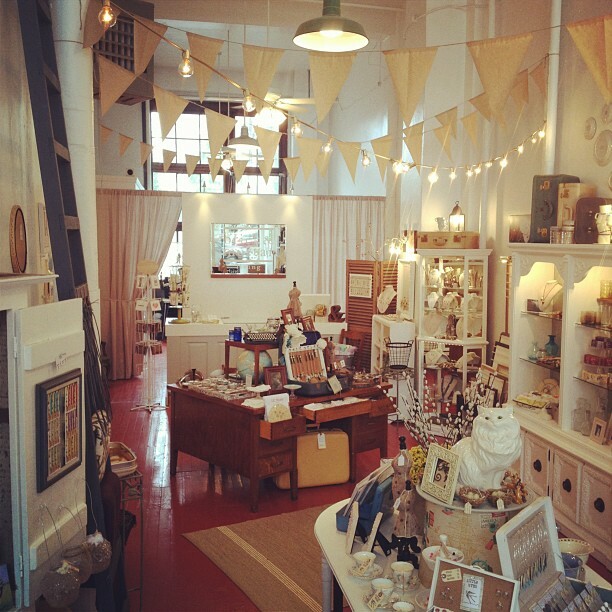 To cut this long story short, please don’t be shy, and go visit the lovely ladies over at Brick & Mortar Living. I promise that you will not be leaving empty handed, and you will be proud of it. I don’t think I have left once without picking up something fabulous and heart warming. Here is to a long life and a bright future for Idea! and Brick & Mortar Living. It is only just the beginning! You can find Brick & Mortar Living on Begbie Street off Bridal Row in New West. I am a big fan of creativity in weddings, hence the name “Idea” – ALways coming up with inspiring , fun and creative events for our clients and their guests. 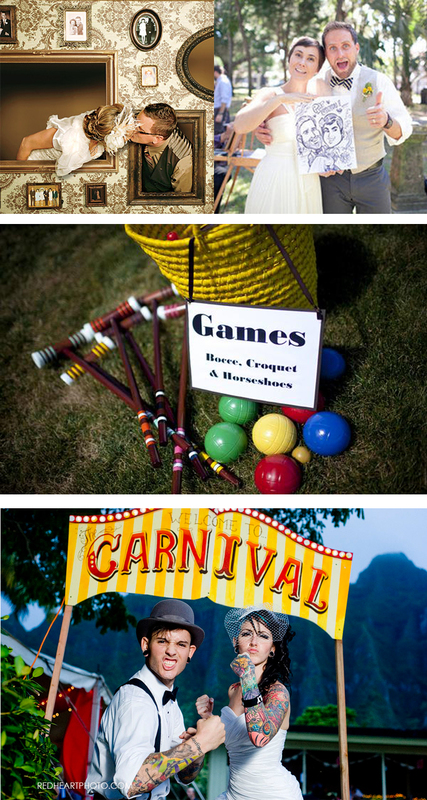 In 2013 we are anticipating seeing and hosting INCREDIBLY fun events, thrilling everyone who happens to be there. 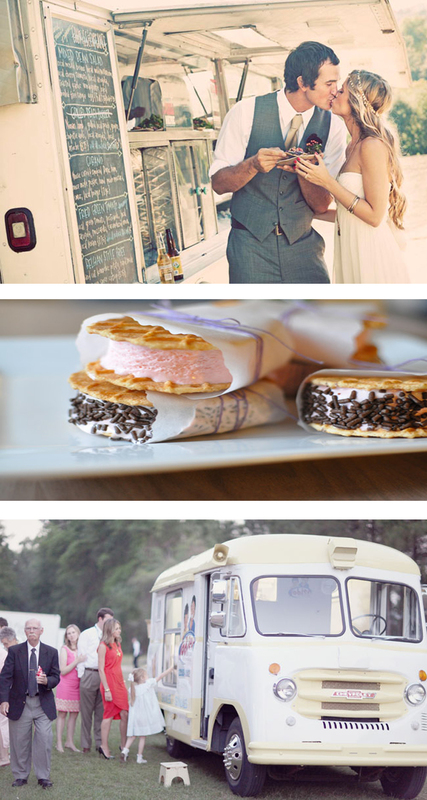 Some trends and ideas that we think are truly splendid, and can work at any wedding are things like: Ice Cream Sandwich stations (build your own), Mashed Potato Bars, Carnival style cotton candy stations, pop corn machines, elaborate photo booths, food trucks, ice cream trucks. We may also see an increase in entertainers, from face painters to caricature artists, magicians to acrobats, poets to tarot card readers, and even dance instructors. Anyways, we hope you will tune in tomorrow and take a look at whatever trend number #14 will be! Also, please check out our new tuesday feature: Blogging Bride! Our American bride is really showing us what Indiana is all about!